You can go up to pretty much any manager or executive who works in any industry, and be regaled in stories of “good change going badly.” Human beings, by nature, are resistant to change. This resistance can pose a special problem for organizations that are attempting to implement a health and safety management system (e.g. ANSI/ASSE Z10, OHSAS 18001, ISO 45001). Management of human factors plays a significant role in the development of any successful SMS implementation. If not given due consideration prior to starting the implementation, the effects can range from slowing implementation (e.g. 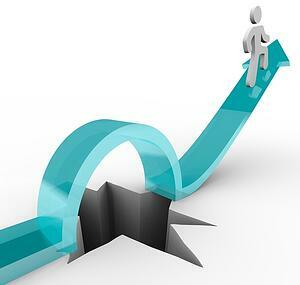 budget or resource overruns) to a more catastrophic result (e.g. abandonment). Brook-Carter & Leach (2006) identified a number of human factor pitfalls, and this list represents a condensed version of their findings. This shouldn’t come as a surprise that we’re starting here. Management commitment is an underpinning of SMS implementation, and many systems fail at this point. What is glossed over, is when there’s lack of commitment from other staff. In most cases the organization tends to follow the strong leaders, and when commitment is absent, SMS implementation is difficult. Even if implementation occurs, without commitment from the top and the bottom the system won’t get the necessary resources for maintenance. 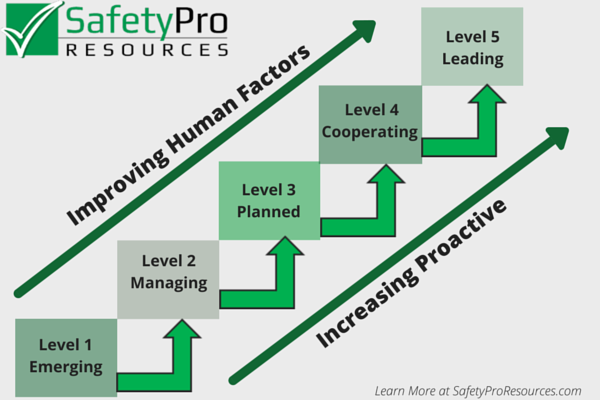 How the firm prioritizes safety translates into the safety culture of the organization. Using the Safety Culture Maturity Model framework, firms at the “Emerging” or “Managing” levels tend to not devote the resources necessary to implement a SMS, nor does the culture support it. Compliance has to lead continuous improvement in these cases, and safety has to be made a priority before either can occur. The skills, knowledge, and abilities necessary to develop and implement a SMS tend to exceed the organizational competence of many organizations. While these can be developed internally, it can be helpful to consider using a consultant to help guide the process. Quality and environmental professionals can be an invaluable resource here, as often times they will have experience with management systems. Building an organizational cross-functional team for implementation is a good start. In many organizations, especially those with emerging maturity safety models, there is a tendency to discipline safety problems. Dekker (2012) addresses this in his book “Just Culture,” and while we’re not going to explore it in too much depth in this post, criminalizing human error creates a culture of blame and non-reporting. Open communication is paramount to a learning culture, and it a precursor to continuous improvement. Unless all levels of the organization are able to communicate openly about safety, firms will not get the best return on the resource investment that a SMS requires. In theory, one can sit at a desk and craft roles and responsibilities for all levels of the organization…but this is somewhat disingenuous as firms do not operate in a proverbial vacuum. Once requisite (e.g. management system requirements) are addressed in building SMS roles and responsibilities, professionals must enlist the help of frontline workers to identify what roles are responsible in practice. In most organizations there’s a chasm between theory and practice, and during implementation it’s much easier and more pragmatic to model a system versus the other way around. One aspect of SMS implementations that no one likes to talk about is the increased burden of documentation and allocation of personnel (who are already busy). Part of the organizational commitment to implementing a SMS is ensuring the availability of resources to sustain the system. Monitoring personnel for overloading of tasks and open communication can prevent the loss or turnover of system resources. Allowing personnel to volunteer versus making activities compulsory can also reduce stress on the system and personnel. This is a double-edged sword, and for those of you who deal with integrated management systems, you know what I’m referring to. If you’re unfamiliar, here’s the rub: existing management systems have a large part of the documentation complete with respect to common requirements. However, the existing documentation (or common processes) may either require more change on the part of the organization, or be more amenable to one management system specification or another. This is a situation where a consultant will be invaluable. In most safety curricula, future professionals get a good exposure to general elements and core elements of safety. I would be hard pressed to identify a university program anywhere that graduates student who do not have an outstanding technical knowledge base. That being said, very few programs teach skills that are necessary to change a culture. If you’re like the majority of us, development of change management skills should preclude attempting to develop and implement a SMS. A great starting point is “Leading Change” by John Kotter (2012), and is worth the investment. There are plenty of resources available to anyone with a computer, but sometimes it’s helpful to have a network to consult with. LinkedIn connections, previous co-workers, mentors, and other safety professionals can provide valuable advice in when it comes to getting started. Hiring a third party safety consulting company can assist you in client procurement sites, training, and more. Brook-Carter, N., & Leach, P. (2006). Organizational Structures: The influence of internal & external structures on safety management performance. UK Maritime & Coastguard Agency. Cotter, J.P. (2012). Leading Change. Boston: HBR Press. Dekker, S. (2012). Just Culture. Burlington, VT: Ashgate.